The Chinese Generation 2020 – What's on Politics? This famous quote was once stated by the beloved and at the same time abhorred Chinese leader, Mao Zedong. The meaning of this short sentence can be, for sure, construed in the most different ways. Yet one of the obvious interpretations can be that every parent’s duty is to educate their children to explore, to learn and not to be given a end-result, such as the fish in that case. There was once a famous scene on a TV show, where a teenager visited a poor family in Tibet and saw a baby goat to be killed for a sunday dinner. He was freaking out about seeing an animal to be slaughtered. Afterwards the Tibetian father asked the boy why he was so bothered by this procedure, as it was him to boldly ask a poor family for having meat for dinner. The answer of the boy was, that meat is supposed to be in a plastic box, frozen in a supermarket. This explains best that by presenting end-solutions, children grow up with a lack of ability to question the superficial. The attempt Mao was seeking to push among domestic education, was idealistic. What we see happing in China now couldn’t be more different than what he wanted to foster. Along with the one-child policy and the growing income of the families, parents were putting all their pride in their kids. They were eager to please every wish the little prince was asking for, let it be a car, IT products or an apartment. Now after more than twenty years and this generation to be grown up, the negative effects of this kind of education is becoming more obvious then ever. As a 70-year old taxi driver told me once, he is still forced to work, as his son was begging for a car, an apartment and an expensive wedding. He opposed this way of education and wanted his son to work for all these luxurious goods. But the societal pressure on his son’s shoulder to show off a nice car and housing was so big, that in the end the father had to give in. Let’s argue that this is the parent’s duty and maybe they are even proud of facilitating the kid’s wishes, but what was shocking about the story of the taxi driver was, that his son in return was not supporting him. 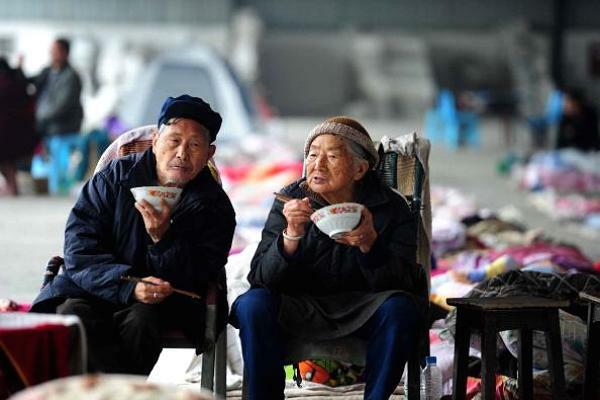 After 50 years of working for his family, he had hardly anything to eat and lived in a small hut in the outskirts of Beijing. His son only visiting now and then. Once a culture of strong family bonds, this ideal is becoming more and more a shadow of the past. The number one priority of achievement in life is to gather wealth, with such eager inducement that more profound values fall by the wayside. China now has more super-rich people than anywhere else in Asia. Yet what gets lost in this process is the worship to who made all this progress possible. Chinese parents had a lot of hardship to endure in the last decades and literally carried the development of the country on their shoulders. What the new Chinese Generation 2020 takes for granted is what the older generations had built with their hands and sweat. Hopefully there will be a return to the values that embossed the unique Chinese culture in the past and the upcoming generations will come back cherish the hard work, instead the lofty lifestyle. In the end it always comes back to family bonds and how their are maintained.